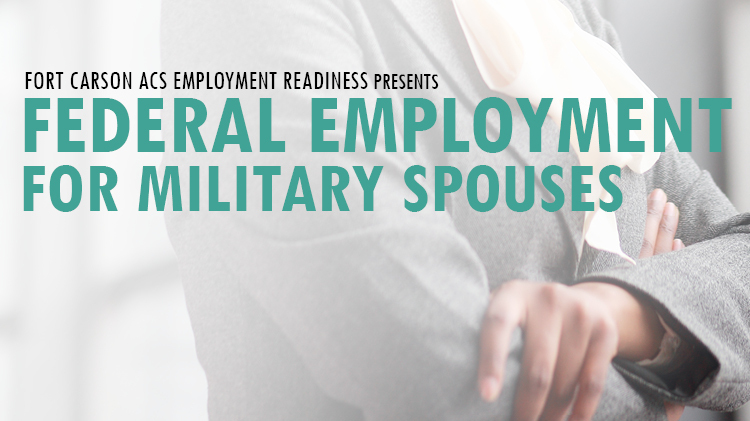 Date: Sep 25 2018, 9:30 a.m. - 10:30 a.m.
As a Military Spouse you may be elgible for Military Spouse Preference (EO 13473). In this information session Civilian Personnel Advisory Center (CPAC) will explain how the program works and what you need to qualify. Please join us and a CPAC representative every 4th Tuesday to find out more information.